Rather than using standard AA cell batteries, the Executioner PRO requires C-type batteries which have a higher mAh rating and can last 3x longer. Because of the extended size, it's rather heavy. 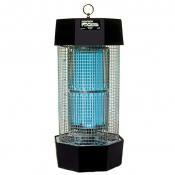 The Sourcing4U Executioner PRO Fly Swat is one of the most powerful devices that can zap any-size creature. 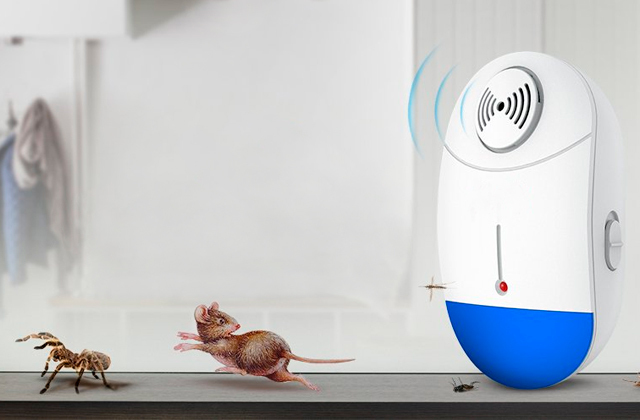 Being bigger, stronger, and more powerful than most other swatters, this thing will kill every pest virtually with one swing. Zapping section: 10.5" x 8.1"
Though this item is quite large, it's well-balanced, so we bet you won't experience unbearable hand fatigue even if you swing it above your BBQ all night long. The loud buzz sound it makes is a bit annoying. 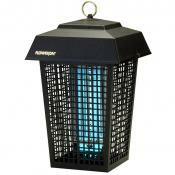 The Elucto BZ-103E battery-operated mosquito zapper is a good thing to stop those pesky bugs from bothering you again. It's quite powerful, well-balanced, comfortable in hands, and large enough to provide a long reach. 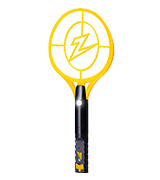 Zapping section: ~8" x 6.5"
The racket is fitted with a powerful built-in rechargeable battery, which lasts for several hours of active use. The full charge takes only 1-1.5 hours. CLeaning the grill might be a bit tricky. 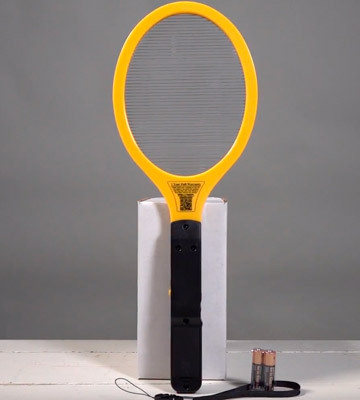 With the Beastron BBZ-01 Electric Fly Swatter, you'll be able to execute flies, bugs, and other annoying pests as soon as they touch the surface. And the racket can be just as effective at home as it is outdoors. Zapping section: ~10" x 8"
If you would like to zap after dark, you can turn on the super-bright LED lights to illuminate the surroundings. Thus, you'll easily see where you’re swatting. The USB cover feels a bit too flimsy. The ZAP IT! rocket doesn't leave any nasties a chance. 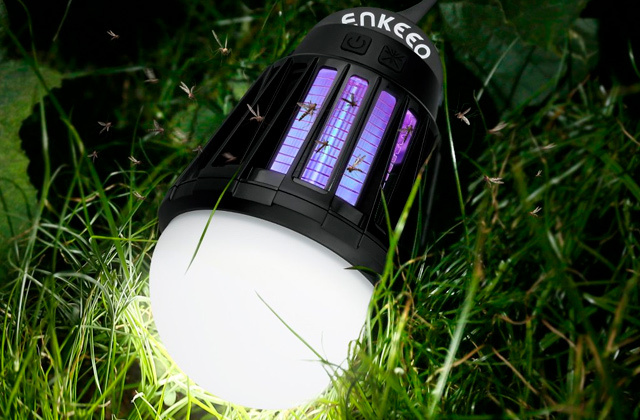 It kills both large and tiny insects with a single swing. 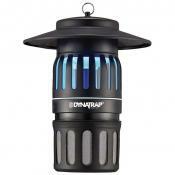 Equipped with a handy indicator light and a triple-layer safety mesh, it's deadly to bugs and safe to people. Zapping section: ~8.5" x 7.5"
Incorporating many smaller steel wires positioned athwart (in a perpendicular fashion), the racket allows you to catch and hit even the tiniest insects like gnats and smaller mosquitoes. The Black Flag ZR-7936 won't always allow you to kill every single insect in one swing but it will make the otherwise inconvenient and tedious task of hunting flies and other buzzing little monstrosities as effortless and minimally strenuous as possible. Right off the bat, we would like to say that the Sourcing4U is a professional Executioner far superior to most other bug swappers you can find on the market. It's much larger and much more powerful, one of the best options available right now. Proudly designed in the UK, it's very sturdy and efficient. It comes with a very nice case and actually has the same size as a standard tennis racket, give or take. 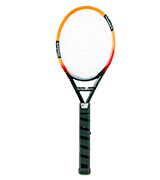 It's 22 inches in length with the actual racket head measuring 10.5 x 8 inches. Though the extended side does affect the weight a bit, so bear in mind that the Executioner can tire your hand with prolonged use. The large size, however, positively effects the functionality, giving you longer reach and better performance. 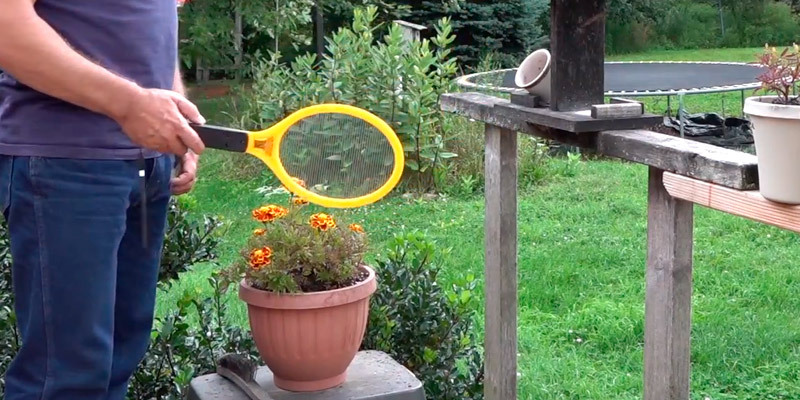 You won't need to swing it several times in a row to "cook" the nasty insects nearby. 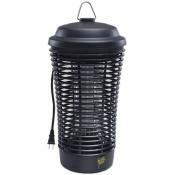 And with an incredibly-powerful 5000-Volt grid, this thing kills whatever it touches in the insect world. 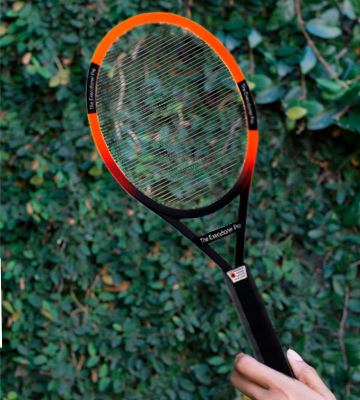 The racket is able to kill not only bugs, mosquitoes, wasps, flies, and spiders but also aphids and some other insects that usually take an extra swing. The other perk is that the device uses 2C cell batteries instead of the AA type. The C batteries have a higher mAh rating, meaning they can hold more energy (3000 mAh vs 1000 mAh) and last longer. They deliver approx 30 hours of continuous use, so you'll go longer between battery changes. 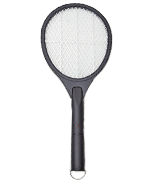 To sum it all up, the Sourcing4U Executioner PRO Fly Swat is one of the most powerful devices that can zap any-size creature. 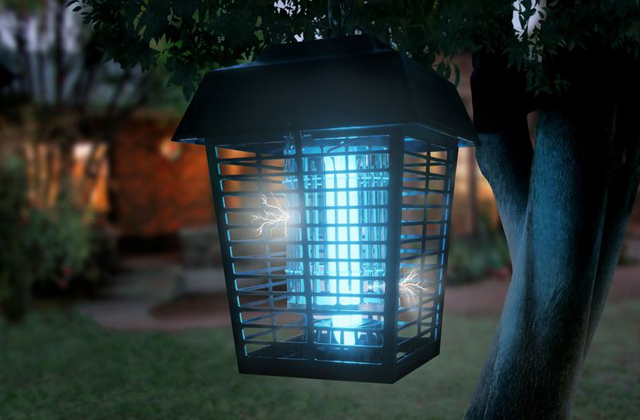 This high-voltage thing will kill every pest it touches virtually with one swing. 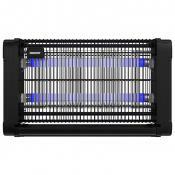 The ELUCTO Large Electric Bug zapper is another strong performer on our list. With 3,500-Volt current, it generates electrical shock waves that destroy bugs and other insects in a second with just one swat. 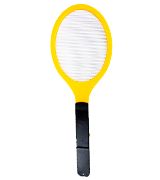 The racket has a very comfortable and practical design to help you neutralize insects in a smooth move. It's made of durable ABS plastic and feels nice in hands. It's well-balanced, so we bet you won't experience unbearable hand fatigue even if you swing it above your BBQ all night long. This particular model has an average 18.7-inch length and 8 x 6.5-inch zapping section. And if that seems too much for you, you can opt for a smaller model from the same manufacturer. Both items rely on standard AA batteries and, as a good bonus, come with a pair of DURACELL batteries already included in the package. 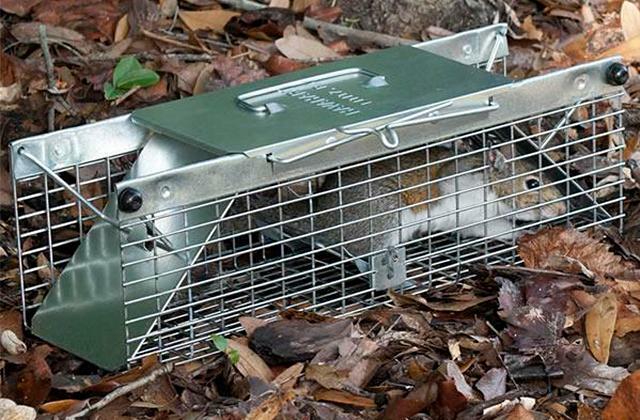 Hence, all you need to do is take the racket out of the box, install the batteries and happily zap annoying critters left and right. So, getting all the good points out of the way, here's the bad. The one real issue we had with this zapper is an annoying sound it makes. Of course, it isn't as annoying as flies' or blood-suckers' buzzing noise, but it's an area for improvement. 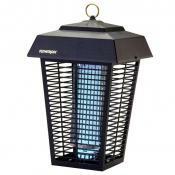 In all, this mosquito zapper is a good thing to stop those pesky bugs from bothering you again. It's quite powerful, comfortable in hands, and large enough to provide a long reach. 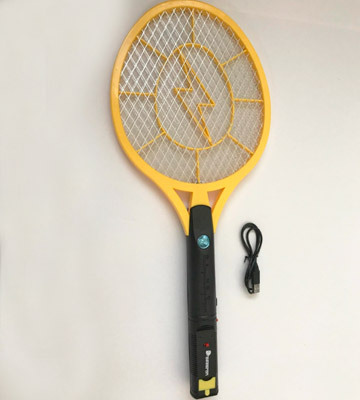 Available at less than $50, the Beastron Bug Zapper Electric Fly Swatter boasts one of the greatest price/quality ratios on the market, however, this doesn't mean it's a cheap toy. And here are a few reasons why that's the case. 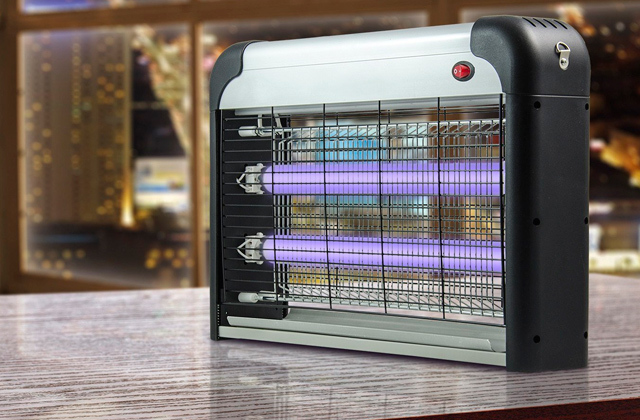 For one, cheap insect-killing devices don't feature an electrified grill with a powerful 3000-Volt current running through it. Plus, the said steel grill is way tougher and safer than usual deals. It comes with a three-layer mesh that’s always safe to touch. The protective meshes on both sides will stop you from getting injured, but not bugs and other flying pets from getting slain. For two, more often than not, low-end products are made of flimsy recycled plastic, while the model under review is comprised of high-quality new ABS plastic. The rocket is really built to last and will allow you to kill insects for many years to come. Also, the generous size plays a pretty important role here. 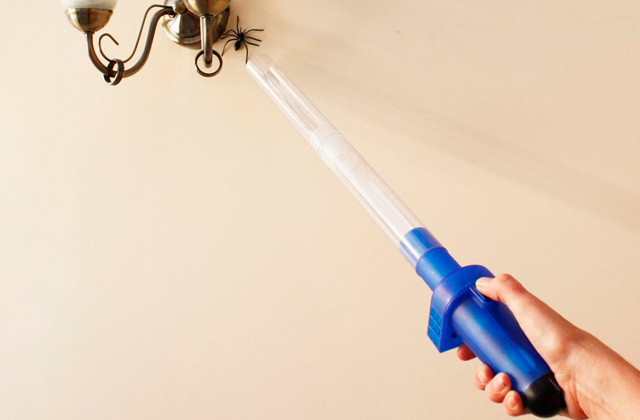 With more than 21 inches in length, this fly swatter gives you a very good reach. And one swing will be enough to kill all flies, mosquitoes and other insects within its reach. 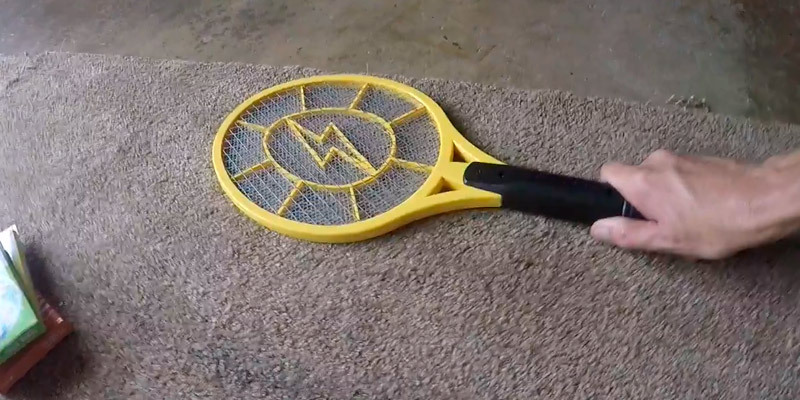 The only flaw with this handheld bug zapper racket is that it's somewhat tricky to clean. 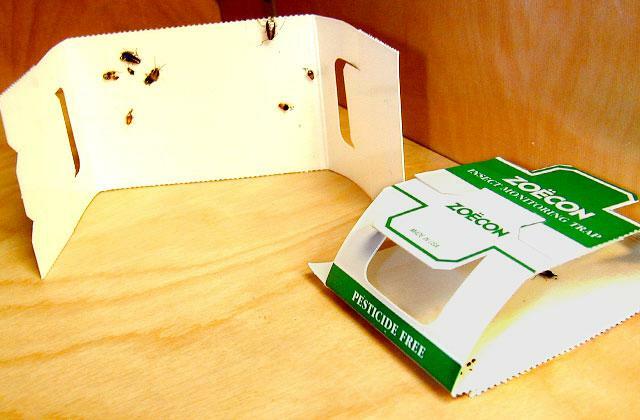 Since it has a super safe, triple-layer design, the flying insects might get caught inside. Still, its effectiveness easily overshadows a bit dirty job of cleaning pests off. With this racket, you'll be able to execute flies and other annoying pests as soon as they touch the surface. And it can be just as effective at home as it is outdoors. ZAP IT! This weapon couldn't have been called more suitably. Although many other rackets on the market (and even some on our list) allow you to kill flies effectively, they really can't compete with this racket in terms of speed. 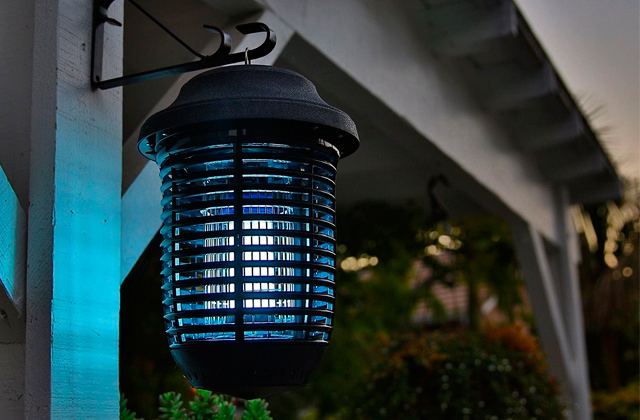 With a 4000-Volt electrified zinc steel grill, this rocket instantly neutralizes virtually any insect, from bugs, flies, and mosquitoes to thrips, aphids, and stinkbugs. Instead of using a couple of AA batteries like most of its counterparts, the model comes with a powerful rechargeable battery. Hence, you won't have to waste your time and shell out extra money on replacements. The racket has a USB charging outlet and can be charged via any USB device. But if you'd ask us to point out some flaws, the only thing we dislike a bit is the USB cover. It feels a bit too flimsy and doesn't stay shut tightly. Other than that, the ZAP IT! bug killer device is as good as flawless. 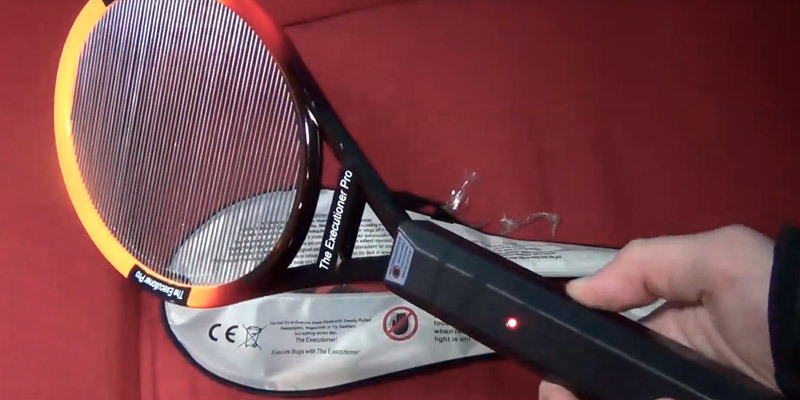 As a nice touch, this fly zapper racket is fitted with an LED light, making it one of the best devices here for nighttime use. And for your safety, it's designed with revolutionary three-layer mesh. To round things up, the ZAP IT! racket doesn't leave any nasties a chance. It kills both the largest and the tiniest insects with a single swing. 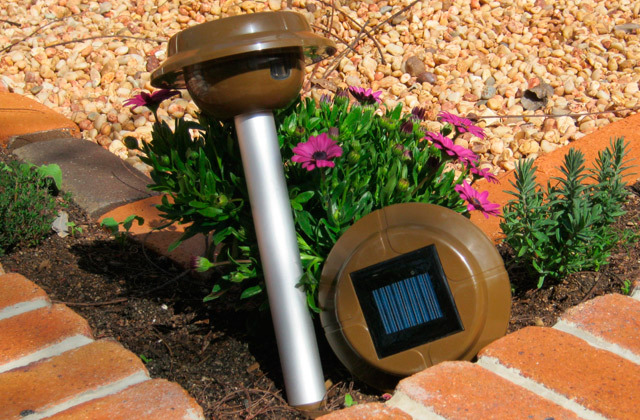 Equipped with a handy indicator light and a triple-layer safety mesh, it's as deadly to bugs and other pests as it's safe to people. 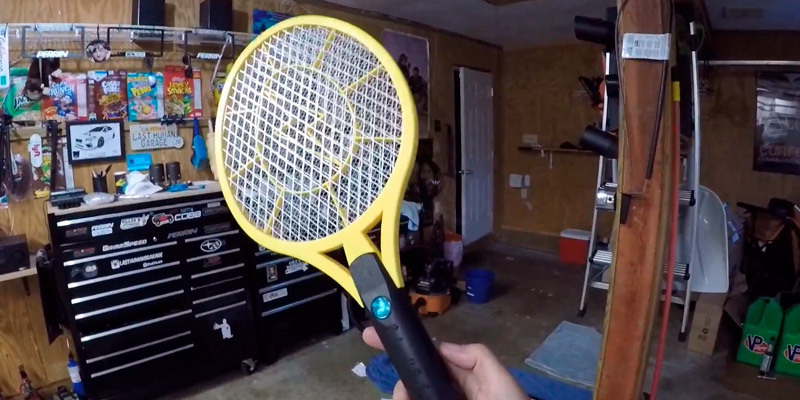 Don't get us wrong, 2750 volts will prove more than enough to kill mosquitoes, biting flies, most spiders, yellow jackets, and even wasps with their poisonous stringers. 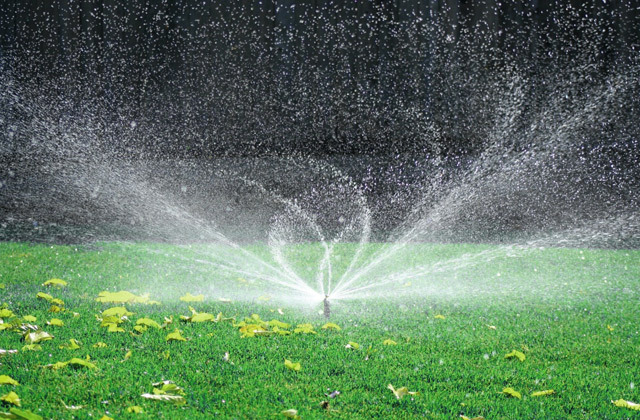 But, with aphids and a few other insects, it might take an extra swing or two to finish the pest off. Not a dealbreaker, of course, but something that the people behind this line will hopefully improve upon in the next model. 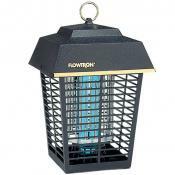 In short, Black Flag ZR-7936 bug zapper racket won't always allow you to kill every single insect in one swing but it will make the otherwise inconvenient and tedious task of hunting flies and other buzzing little monstrosities as effortless and minimally strenuous as possible. What Is a Bug Zupper Rocket? What could be better than having a loud BBQ party or just lounge on a comfortable hammock with your family in a nice afternoon? 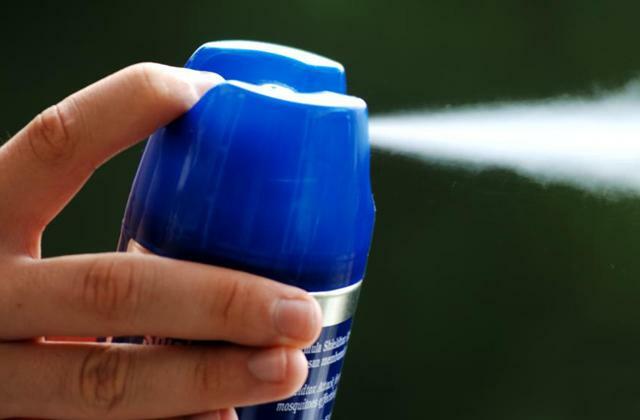 But there's something that can ruin that outdoor oasis, a bunch of mosquitos, bugs, or flyes annoyingly buzzing around. 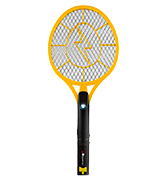 And if using bug sprays with poisonous elements is not an option, a bug zapper racket is what you need. 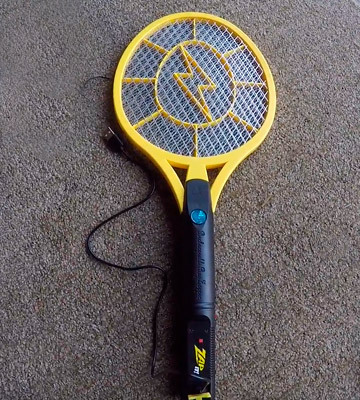 It's a revolutionary bug-killing device that looks like a tennis racket but has an electrified zinc steel grill with a current running through it. 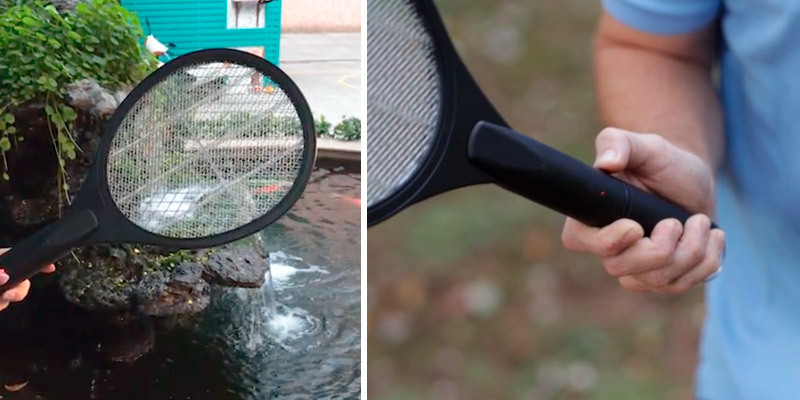 This grill can instantly fry the insects with the slightest contact. 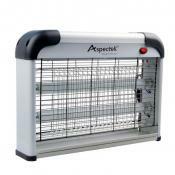 Importantly, this type of bug zappers doesn't pose any risks to your health and is environmental-friendly as well. Additionally, portable racket zappers can add fun and efficiency to an otherwise dreadful task. 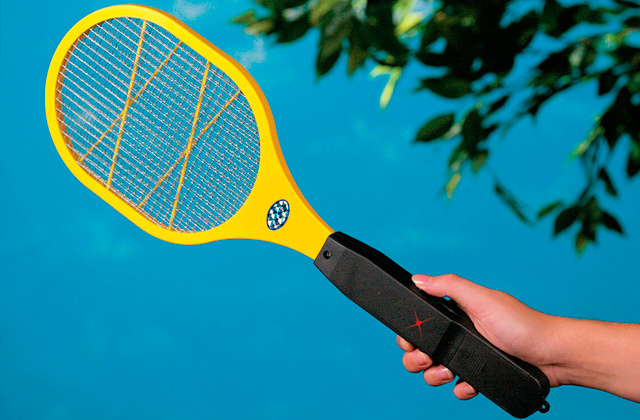 Simply arm each member with the electronic rackets on the next outdoor event and enjoy the ultimate fly swatter game. Along with the fun game, you will get the health benefits of eliminating dangerous insects and toxic bug sprays from your life.